This is Jordyn. We loved your tees. She started wearing them in the neonatal progressive care unit when she was just under 3 lbs. Jordyn was born at 24 weeks and 5 days weighing 1 lb 10 oz. Her nurse practitioner said she loved unwrapping Jordyn and seeing what new, adorable outfit she had on each day. 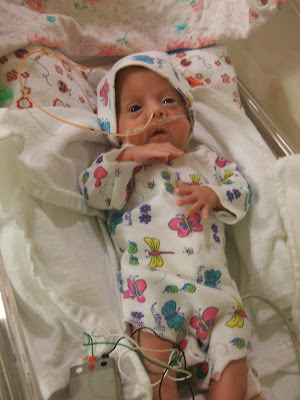 When Jordyn went home 91 days after her birth we donated her too small preemie tees to the NICU. I can't tell you how many times I gave out your web address. Thank you for making a difficult time a little easier. 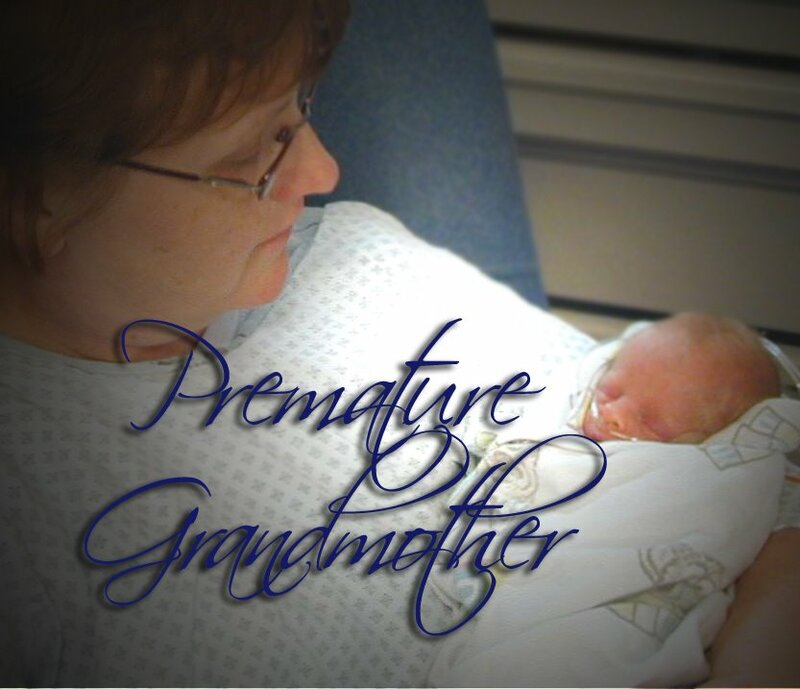 Here is another opportunity for those of you wanting to help preemies out there! Please take a minute to consider if you can donate something. Elliot's Preemie Tees will refund 20% of every purchase made for Samuel's Legacy Drive when you order preemie clothes for this drive. Just let us know in the comment's box on your order or send us an email and we will send you a refund! 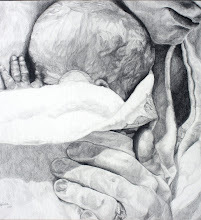 Thank you for Helping Preemies! We were so amazed at the support that you gave for the March for Babies in 2008 that we are going to continue Samuel’s Legacy in 2009. This year we are going to give preemie clothes to the NICU (Neonatal Intensive Care Unit) at the Centennial Women’s Hospital in Nashville, TN in Samuel’s name. The staff that took care of Samuel are amazing and we want to give back. 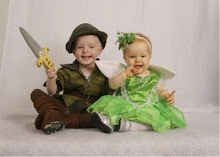 So between now and Saturday, April 4th we are going to collect what we can of preemie clothes. The staff prefers easy snap on and off for easy access with all of the cords. Whatever you are able to give we will forever be grateful and thankful. If you are unable to give we certainly understand. We just ask that you all pray for the staff and infants at this facility. You also may send gift card or checks. We will gladly purchase the outfits for you and mail you the receipts. Please send all donations by Saturday, April 4th so we can deliver them on April 10th for Samuel’s 1st birthday. Last year I signed on with Orange Soda Online Advertising to help me promote my online business. We started out small with a plan to work our way up. I signed on to have them post my company in as many directories as possible for $35 a month. In a few months they were supposed to contact me (according to the sales person) to see how else they could help me. A few months went by and nothing. Not the best impression, but oh well. After about 6 months I began to be intrigued with the idea of how long would it take them to actually call me for the next step. As I suspected it took them to the end of my contract...exactly one year later I got a call, which I ignored. The next week I called them on my renewal date to cancel my revolving contract. (This call took place yesterday, on Thursday)The conversation was pleasant enough until they asked me why I was canceling. So I told him. Apparently he didn't like my answer so much. Oh, the he I am talking about is Dan, my personal account manager. The last time I heard my Account Manager was Jason. Who's Dan? Fast forward to today (Friday)...I check my online bank statement again today and there it is... oh but wait! There are not one but, count 'em folks, TWO of the exact same charges to my bank account from Orange Soda...WOW! I guess Dan showed me who's boss! He charged my account probably the second he got off the phone with me...NICE! Thank goodness for being able to dispute charges, which I promptly did for BOTH of them. We'll see how it turns out! In the meantime I intend to tell anyone who will listen to me how nice and customer friendly Orange Soda and my account manager Dan are. I want everyone who is capable of clear reason to know that Orange Soda cares about small businesses and dealing fairly with everyone. And then I have some beachfront property in Mesa to sell ya! Did I mention the name of this awesome company is Orange Soda? We are sooo excited to announce our new products at Elliot's Preemie Tees! These have been a long time coming and we have worked very hard to make sure they will be the best for you and your preemies! I have sent all of the photos and copy to our web designer to put on the site as soon as possible! But I just can't wait... so in honor of the new products we are announcing a giveaway! That's right...I said GIVEAWAY!!! If you order over the weekend your name will be put in a drawing to win a new Preemie Tees Sleeper (a $15.99 value!) in you choice of fabrics, snaps and size. 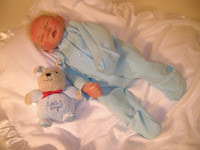 Be the first one to have this adorable sleeper!!! The sleeper has cuffs on the hands and feet for easy access to monitors and lines but still keeps your little one warm. Like all Preemie Tees Products, this sleeper comes in sizes Small (1-2 pounds) Medium (3-4 pounds) and Large (5-6 pounds). Come back here and place a comment on this post and you will be registered for the drawing. On February 16th a name will we drawn and you will be notified by email. You pick the size, fabric and snaps and the sleeper will be included with your order. It's that easy! So register soon! Offer expires on February 15, 2009 at midnight, mountain time. The winner of the sleeper is the second post Vicki Fessler. Vicki Congratulations!